I guess it wasn't a surprise that Google's Nexus 7 Tablet is a roaring success that even supplies have been having a hard time catching up with demand. 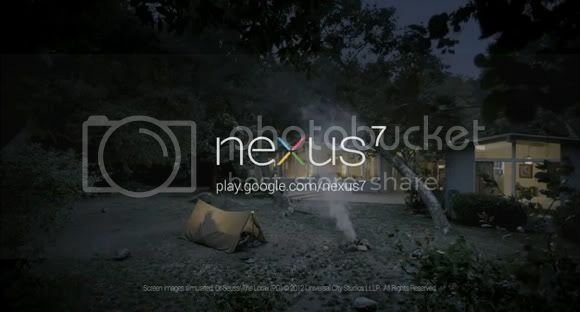 Now to make things even worse for all those guys out there that are still waiting to get their hands on the Nexus 7 Tablet, Google came out with this Ad that's pretty cool for a Father and Son camping moment. Kind of reminds me that I can't wait to have my own kids to share my love of gadgets and stuff. I know you're already thinking that the Nexus 7 isn't really for camping since it only has WiFi but I guess the ad clearly handles that around the end. Think Wireless N Routers.